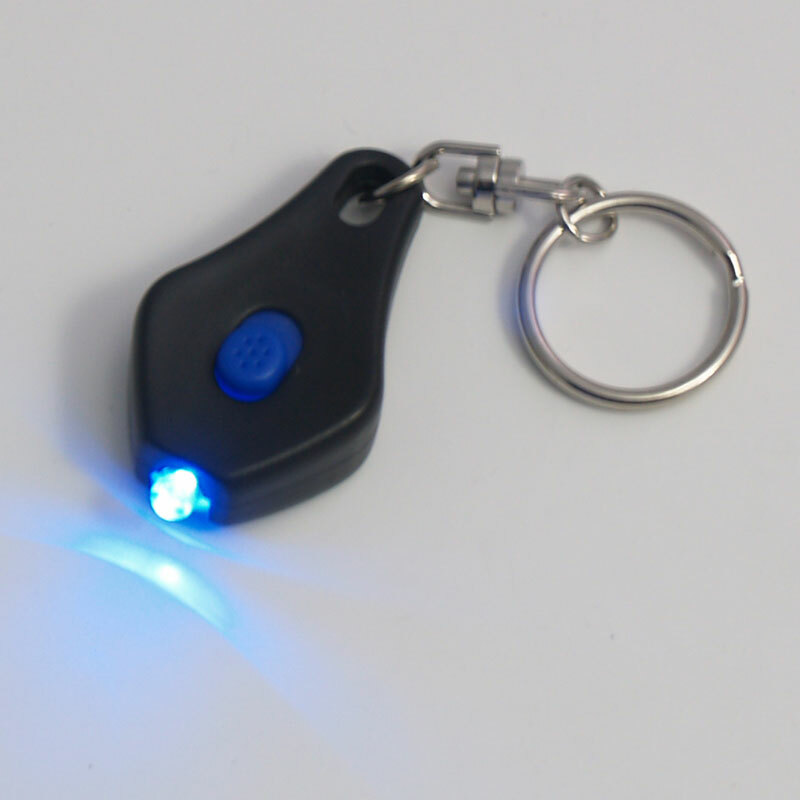 Our best LED keychain flashlight! Super rugged construction - practically unbreakable! Dual action switch - slide or squeeze. Available in Red, Teal, White, Blue, and UV / Black Light models. Retail display fishbowls of 48 white or mixed units also available. See our other listings. 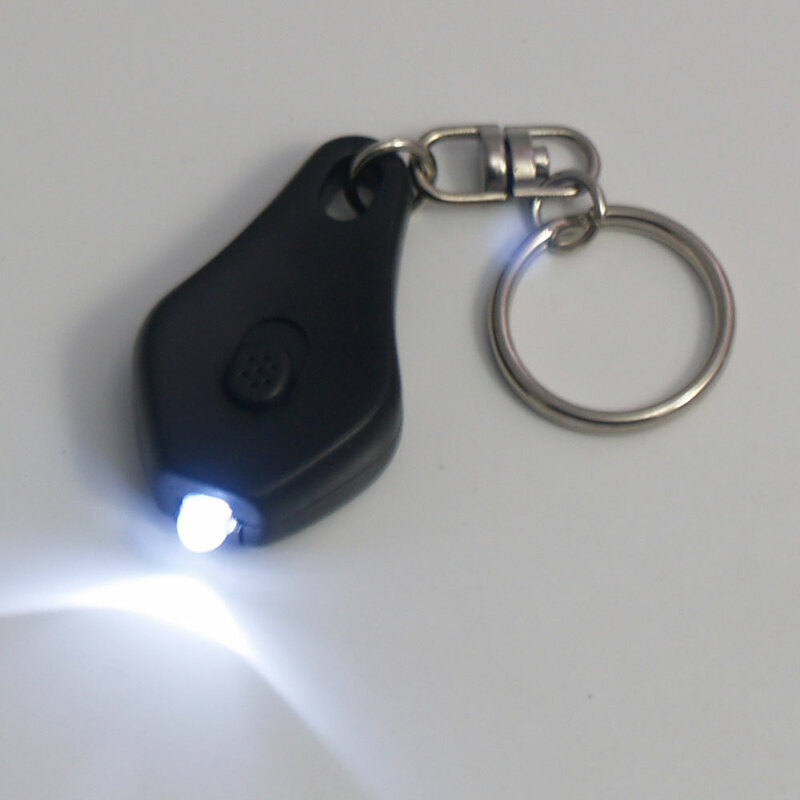 These compact keychain LED flashlights are amazing! But what makes them so outstanding is their high quality, amazing ruggedness, and unsurpassed brightness of the LED. And their versatility and usefulness make these a perfect gift for everyone and any occasion. 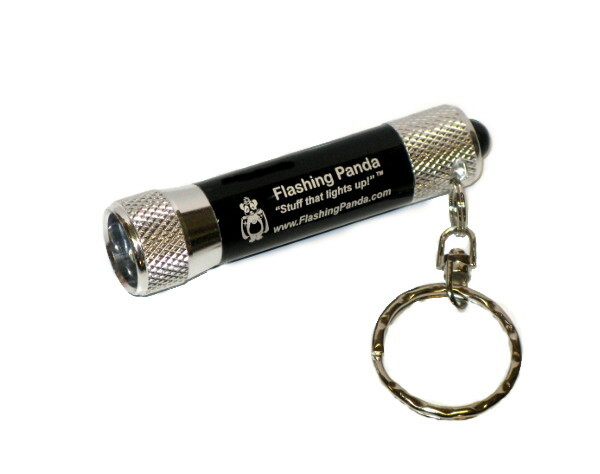 Other websites and retail stores sell inferior flashlights for $7-$15 per light! Plus, when you buy bulk they are so affordable that you can feel good about giving them away. 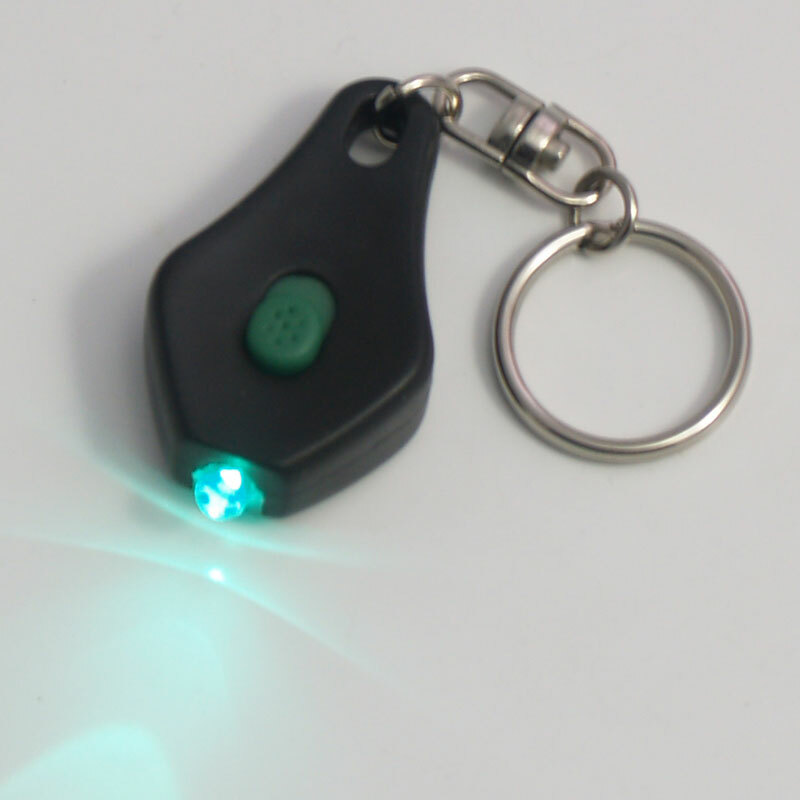 We usually keep a few of these lights in our pockets and car to give them away to hotel housekeeping staff, outstanding wait staff, parking valets and anyone else who goes to that extra step to assist us, not to mention friends. The one on my keys never stays there long - it gets given away within a week. These make ideal gifts, stocking stuffers and corporate gifts. We will soon be offering custom imprinting on these as well. Please inquire if interested. Dual Action Switch for easy momentary or constant on operation! Press the button for momentary operation. Shines an astonishingly bright beam, illuminating any path. You can read house numbers walking along a dark street! Unbreakable LED bulb - incredibly tough. Held together with 4 small screws for great durability - won't come apart! Visible for more than a mile! Under clear conditions we have been able to signal out to two miles. 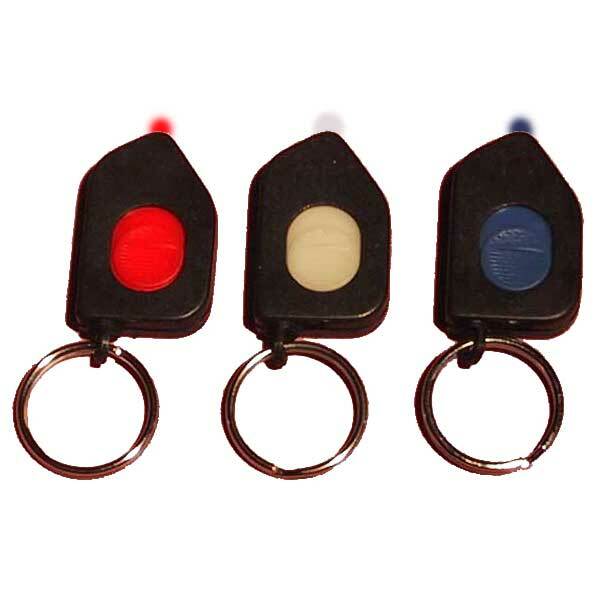 Red and Blue models are suitable for use with night vision. Many hours of continuous run-time off of a single battery set - lasts many times longer then incandescent flashlights! Lasts for years under normal use; many hours if used continuously, i.e. tent light or an outdoor marker. A Great Gift Idea! These lights make great gifts for any occasion and are great for that hard-to-shop-for person. If you're looking for a really cool gift, look no further! Perfect as a corporate give-away. Custom imprinting available soon, please inquire for more information. 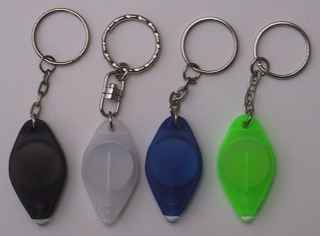 Easily attaches to key ring or zipper. Swivel adapter for tangle-free operation. Easy to replace long lasting CR2016 or CR2032 lithium button-cell batteries. Caution: UV model is NOT A TOY! Not intended for children. Can be damaging to eyes! 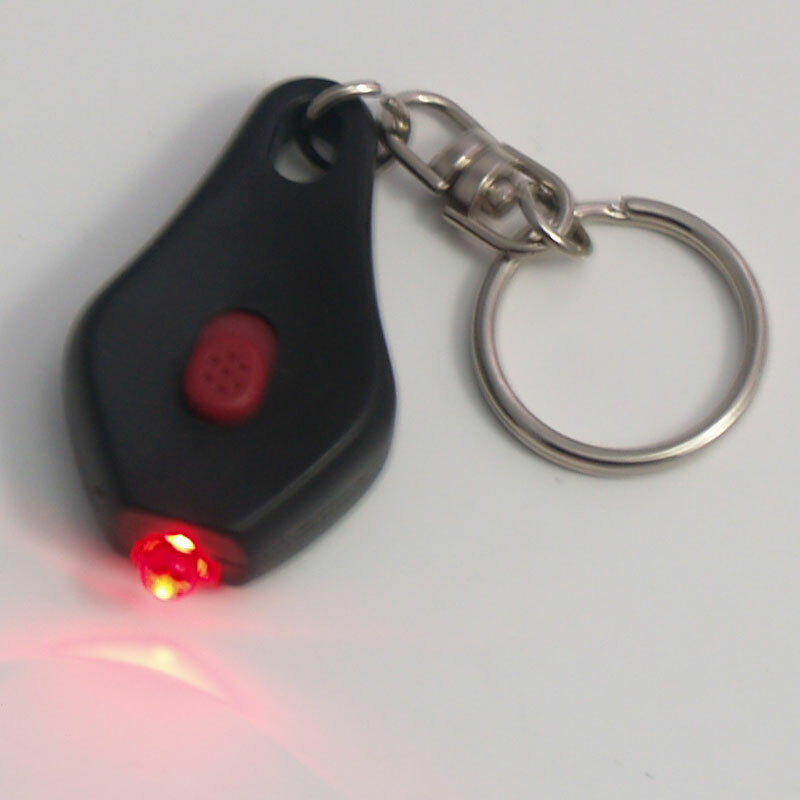 For use in security, medical, lab, forensics, etc. Check currency bills, identification, etc. 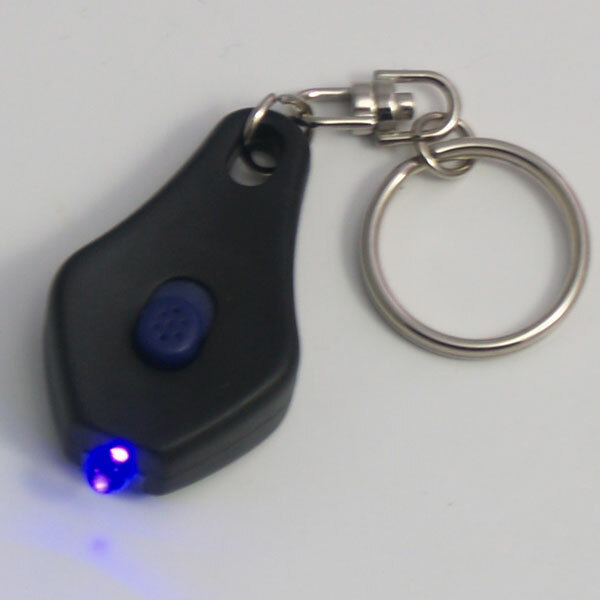 Detects all 3 colors of bank note security fluorescent filaments. Philately - Identify fluorescent tagging on stamps of most countries. Antiques - Spot fakes and easily test glass, china, cast iron, crystal, pottery, etc. Minerals, Gems, and Diamonds - Over 200 minerals react under UV light with wonderful color changes. Admission Gates - Read UV ink stamps and UV ink pen writings. 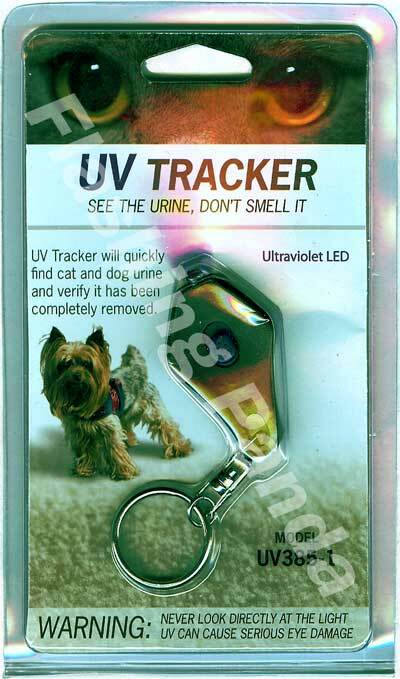 Urine & Spray - Spot cat spray and other urine and rodent feces hidden from the naked eye, including human bodily fluids! Price breaks are at 1 retail fishbowl of 48 units, and at 1 full case of 12 fishbowls, (576 units). Available in a retail fish-bowl of individual or mixed colors.